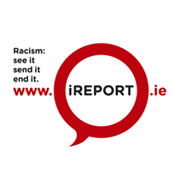 This full day conference is aimed at strengthening understandings of Islamophobia, anti-Muslim racism in Ireland and identifying community based responses for practitioners and communities. The conference brings together community workers, youth workers, educators, teachers with people who experience Islamophobia. It will build understanding about the issues but also identifying practical steps and practices we can implement. Kundnani writes about race, Islamophobia, political violence, and surveillance. Author of “The Muslims are Coming! Islamophobia, Extremism, and the Domestic War on Terror”, Kundnani will present global perspectives on “War on Terror” rhetoric, radicalisation and rising suspicion and surveillance of Muslim communities. Author of the recently published ‘Experiences of Islamophobia: Living with Racism in the Neoliberal Era”. Dr Carr’sresearch place him as one of Ireland foremost academic experts on Anti-Muslim Racism in Ireland. Dr Carr is in the process of completing a follow up piece of research with the Immigrant Council of Ireland and will speak and will speak about Understanding Anti-Muslim racism in an Irish context. Dr.Privot is an international expert on radicalisation processes within Muslim communities. He has more than a decade of experience in community building of Muslim communities in Belgium and Europe. He has authored a number of academic publications, published op-ed articles and appears regularly on a variety of media. He will speak on the topic of ‘European perspectives on Islamophobia’. Lecturer in Sociology in Ulster University, with research expertise in race and ethnicity, minority experiences of crime and victimisation, and leadership around equality issues. She will be presenting ENAR Ireland Data and analysis on anti-Muslim racism. Youth activists, Amina and Iesha will present on the experience of Muslim young people in Ireland and how Islamophobia is experienced by young people with a focus on young women. Guest Speaker from AkiDwA migrant women’s Network and Amina, Iesha and Fadhila on youth perspectives. Led by Muslim young people, workshops will cover 4 main areas; Education (Formal and Informal), Community Mobilisation, Islamophobia and Women, Anti-Muslim Racism and the Media.